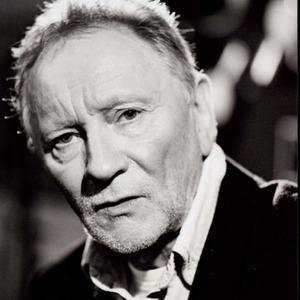 Composer, producer and performer Phil Coulter was the reigning king of contemporary Celtic music, becoming the best-selling Irish artist of his generation. Born in Derry, Northern Ireland in 1942, Coulter began his career while studying music at Belfast's Queens University, writing the Capitol Showband's 1963 hit "Foolin' Time" and later penning the ensemble's 1965 Eurovision Song Contest entry "Walking the Streets in the Rain." Other notable compositions of the era include Twinkle's 1964 smash "Terry" and Them's oft-covered garage-rock classic "I Can Only Give You Everything. Still, Coulter enjoyed his greatest success as a writer after teaming up with collaborator Bill Martin; together they authored some of the biggest pop hits of the period, including Sandie Shaw's Eurovision-winning "Puppet on a String" and Cliff Richard's "Congratulations." Despite his pop success, he remained drawn to the Irish folk of his youth, working with acts including the Dubliners, Planxty and the Furey Brothers while concurrently writing a series of hits for the Bay City Rollers. After his partnership with Martin ended during the late '70s, Coulter turned increasingly to performing, and in 1983 issued his solo debut Classic Tranquility; its meditative, lushly-orchestrated renditions of traditional Celtic favorites immediately scored with Irish audiences, and on the strength of subsequent efforts including 1984's Sea of Tranquility and 1985's Phil Coulter's Ireland, he emerged as the country's best-selling artist. Later material including 1990's Words and Music, 1993's Recollections and 2000's Highland Cathedral introduced Coulter to a growing international audience as well. The intimate Songs I Love So Well was issued on Shanachie in early 2001.